Judy Volhart graduated from Montreal’s Dawson College Retail Management program with a firm understanding that she hated the retail industry and a resolution to never work in that field. After working for two decades in the health and dental insurance claims industry, she is now happily retired as she focuses her efforts on healing from kidney cancer. Judy started writing her first novel at the age of fifteen, and her second during her twenties, but never completed either work. In her thirties, she wrote a children’s novel, then in her forties switched to the mystery genre. 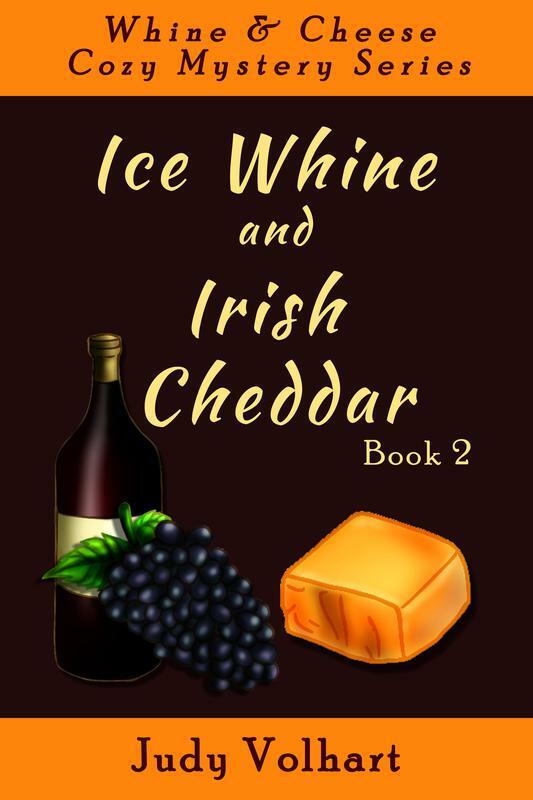 The combination of mysteries, romance and food are the perfect fit for her quirky sense of humor and writing style. Judy currently resides in Brockville, Canada, and much the same as her character Amalia Kis, she enjoys wine, cheese and salamis. When she’s not eating, drinking or writing, Judy enjoys traveling, walking and yoga. 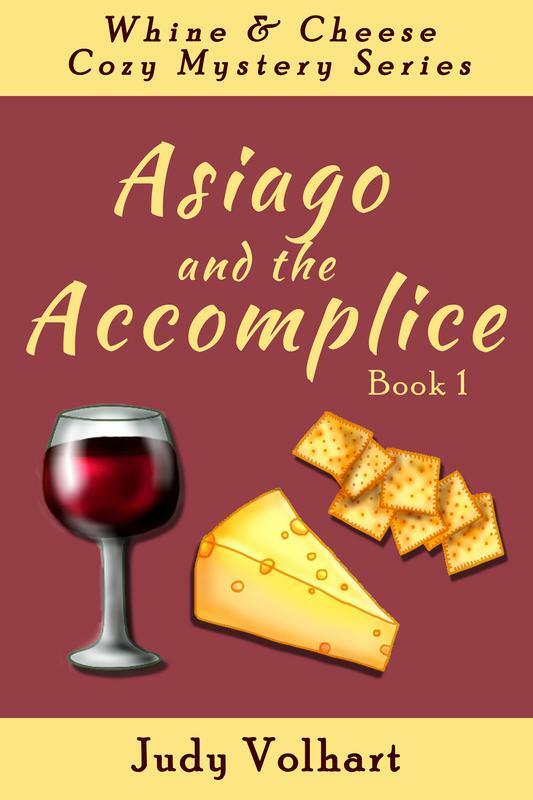 Thirty year-old Amalia Kis' recently opened wine and cheese bistro is flourishing despite a rocky start; until she finds the dead body of the nephew of her evil nemesis, Mr. Leonardo. Thirty-year-old Amalia Kis just opened a new bistro that specializes in selling mouth-watering platters of cheeses, salamis, artisan breads and wines. But when she’s greeted by the body of the local town hoarder hanging from the coat hooks at her bistro, she finds herself in the midst of an unsavory murder investigation. 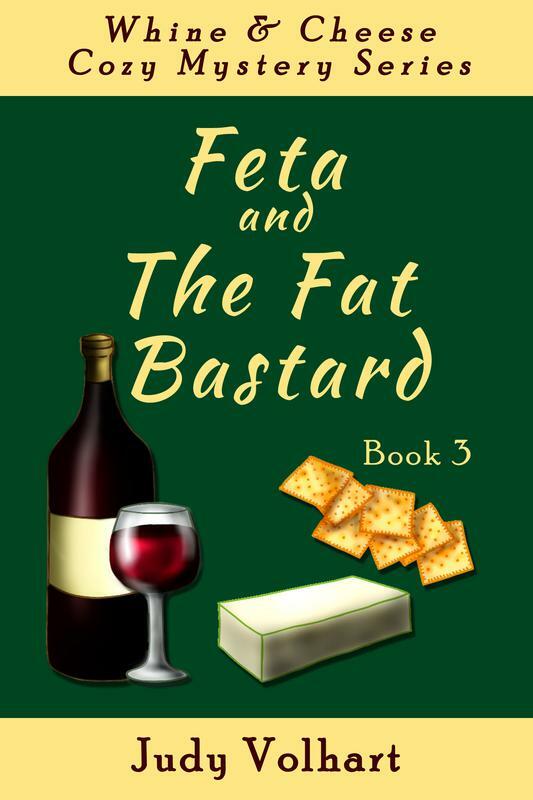 Millionaire Milton is about as pleasant as a moldy block of feta, but when his juicy young wife drops dead at the Whine & Cheese Bistro, Amalia finds herself back in the thick of things. 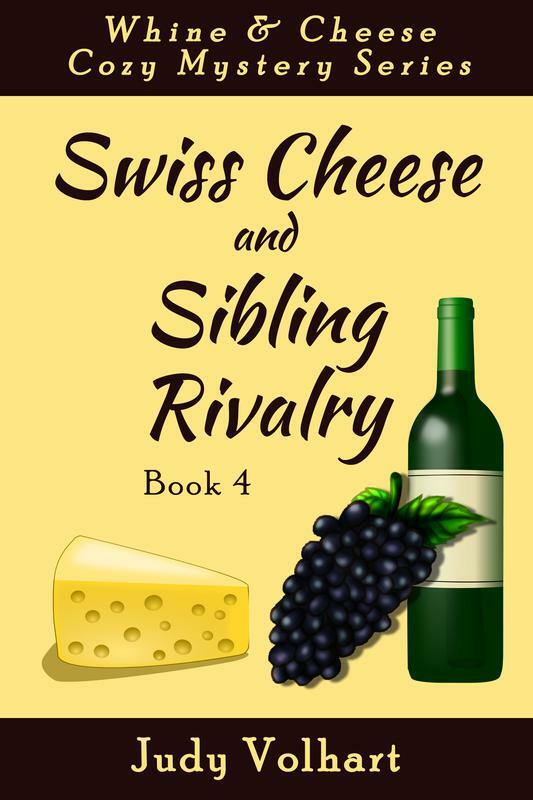 When her wine and cheese tasting class gets creamed due to a brutal murder, Amalia soon finds that investigating a case proves to be more challenging when it involves family.